Whether you’re staying at The Mill Casino Hotel or The Mill RV Park, a trip to Coos Bay wouldn’t be complete without stopping by the Coos History Museum. Beginning operation over 70 years ago, the museum helps piece together the history of the region with interactive displays and educational programs. Operated by the Coos County Historical Society – a not-for-profit organization founded in 1891 – the Coos History Museum first opened in 1947. Their mission from the very beginning was to collect and preserve artifacts, such as tools, clothing, photographs and documents that tell the story of Coos County, as well as Oregon’s South Coast. While the museum once occupied a one-story building in Coquille, in 1958 it moved to Simpson Park in North Bend, Oregon. The current museum opened in Coos Bay in the fall of 2015. 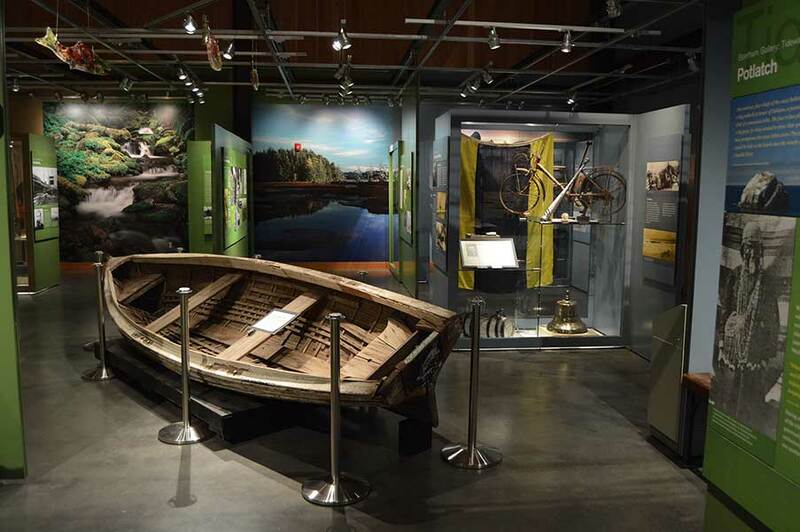 With two floors of exhibits, the museum aims to give visitors a better understanding of life in the South Coast, from generations past to present. Visit today, and you’ll see an ever-expanding collection of historic artifacts and archival materials that explore the area’s geography, history and economics. The museum also houses a large collection of Native American artifacts, including baskets and tools made locally by tribes in the Coos and Coquille watersheds. Since the 1980s, the Coos County Historical Society has worked in tandem with the Coquille Indian Tribe and the Confederated Tribes of the Coos, Lower Umpqua and Siuslaw Indians of Oregon to provide visitors with an accurate representation of their cultural history. Check out their current exhibits for more information. Less than a 2-mile drive from The Mill Casino • Hotel & RV Park, the Coos History Museum is nestled along the water at 1210 N Front St in Coos Bay, OR. The museum is open from Tuesday to Sunday, 10:00 a.m. – 5:00 p.m., and closed on major holidays. On the second Sunday of every month, admission is free for children and adults alike. View their general pricing information to see regular prices for children, teens, adults, seniors and groups.